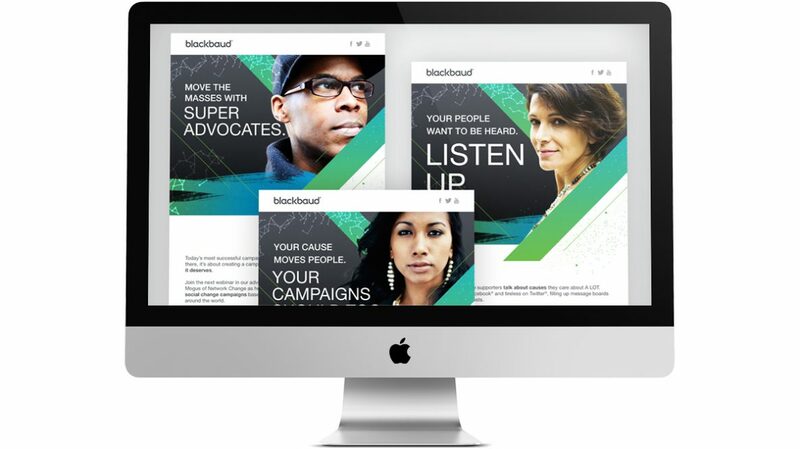 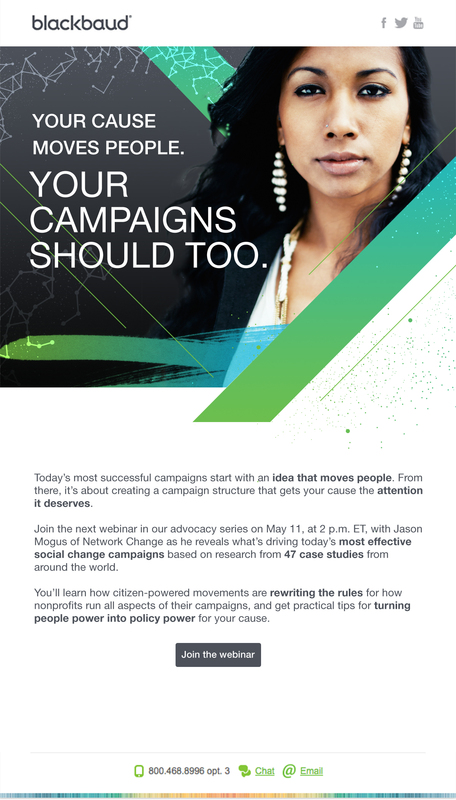 The 2017 advocacy campaign for Blackbaud targeting clients in the advocacy space to demonstrate how Blackbaud is their partner in achieving their mission. 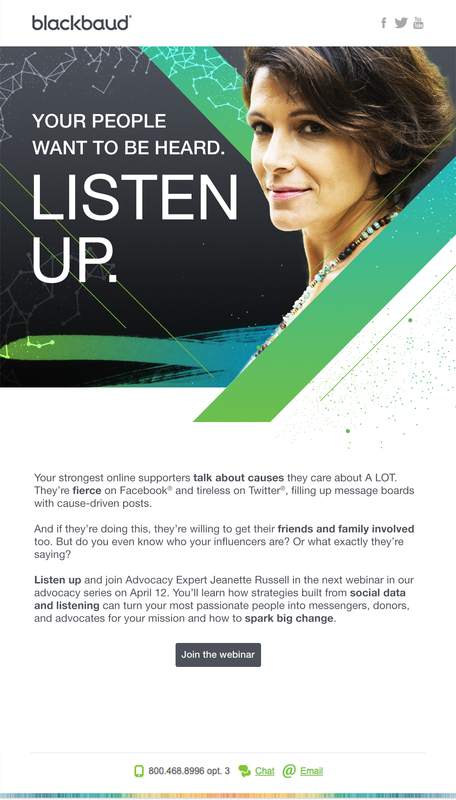 The visuals depict people that are representative of the nonprofit’s inspired constituents. 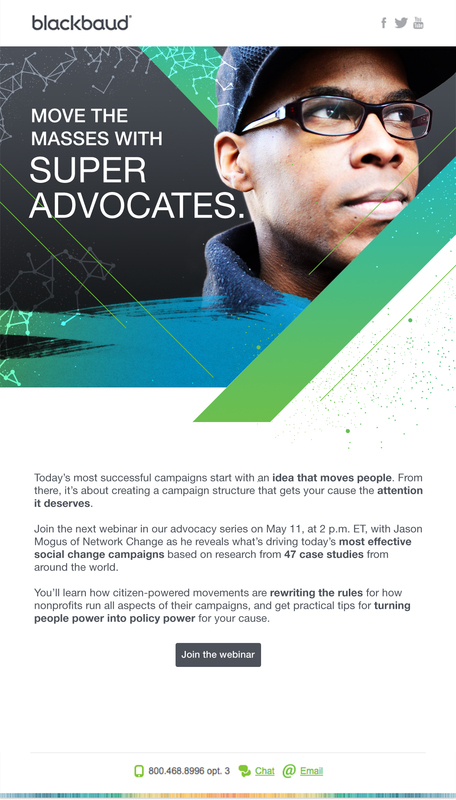 It’s high energy, has stopping power and is inline with the current energy and social climate for Blackbaud’s advocacy clients.